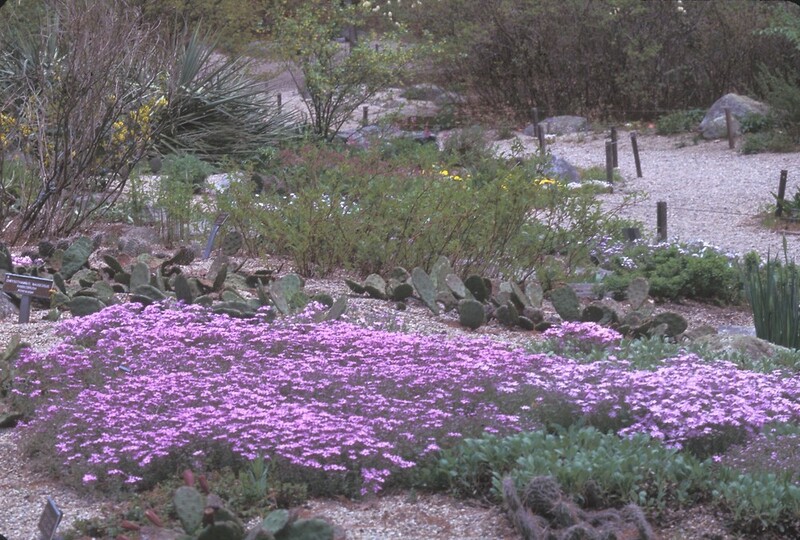 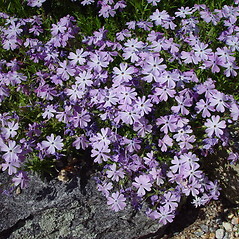 Moss phlox is a popular plant for rock gardens and flowerbed borders. 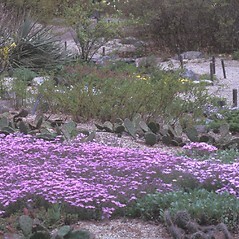 Cultivars come in a range of flower colors. 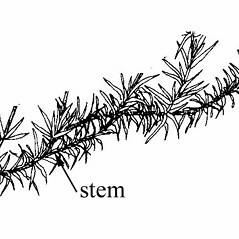 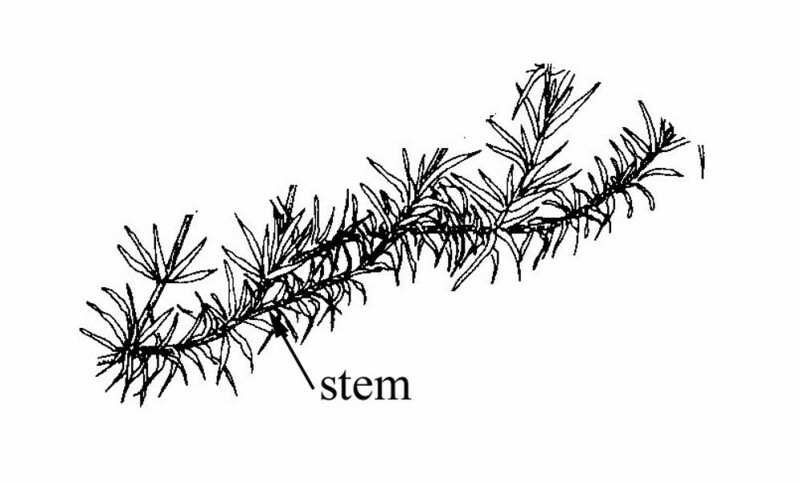 leaf blades mostly 20–40 mm long, axillary fascicles mostly lacking, apical sinus of petal 0.25–0.5 times as long as entire petal (vs. P. subulata, with leaf blades mostly 8–20 mm long, axillary fascicles usually present and conspicuous, and apical sinus of petal 0.12–0.25 times as long as entire petal). 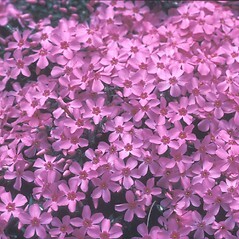 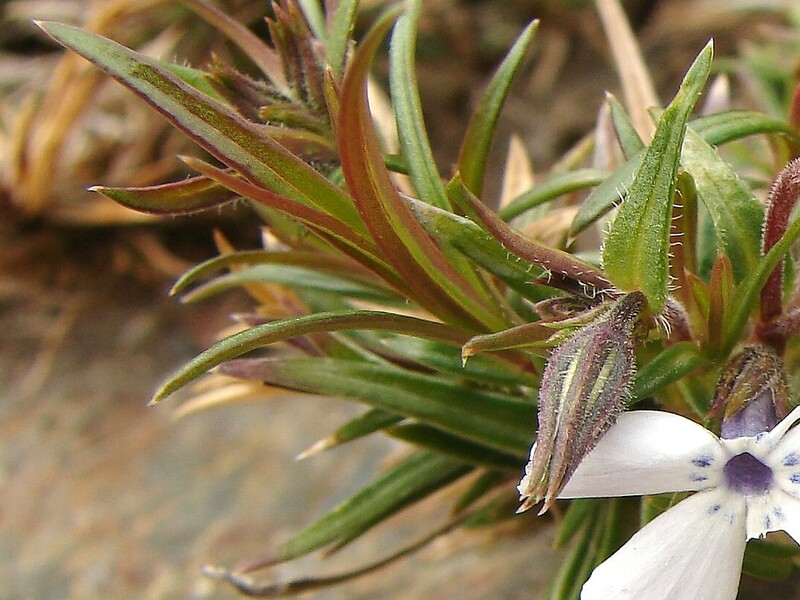 Our subspecies is Phlox subulata L. ssp. 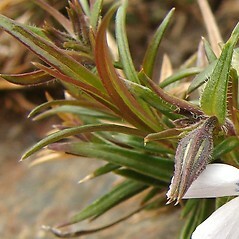 subulata. 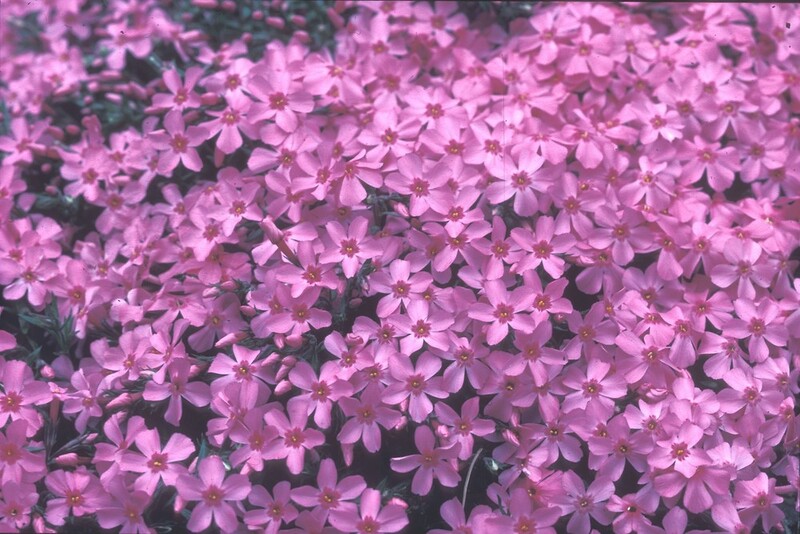 moss phlox. 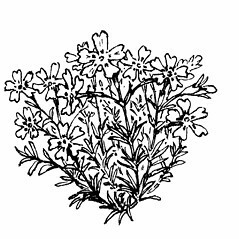 CT, MA, ME, NH, RI, VT. Gardens, roadsides, lawns, frequent about old cemeteries. 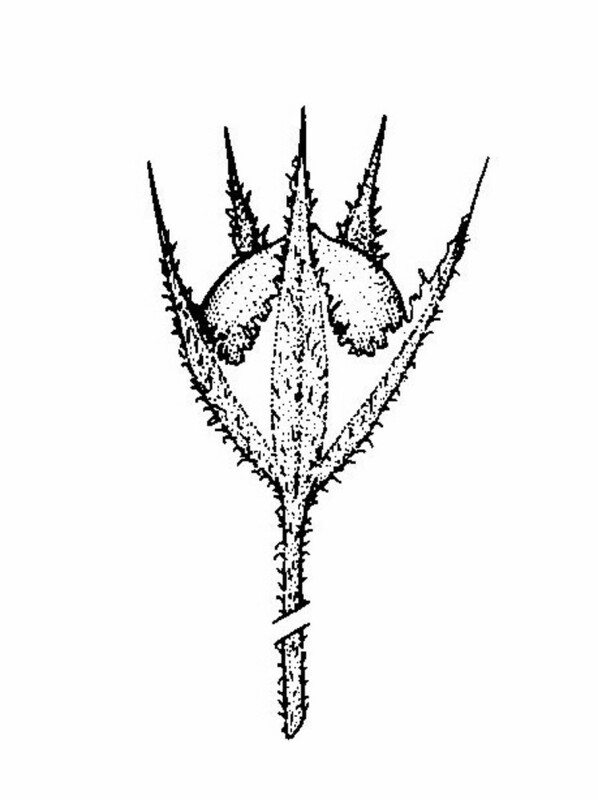 8×9. 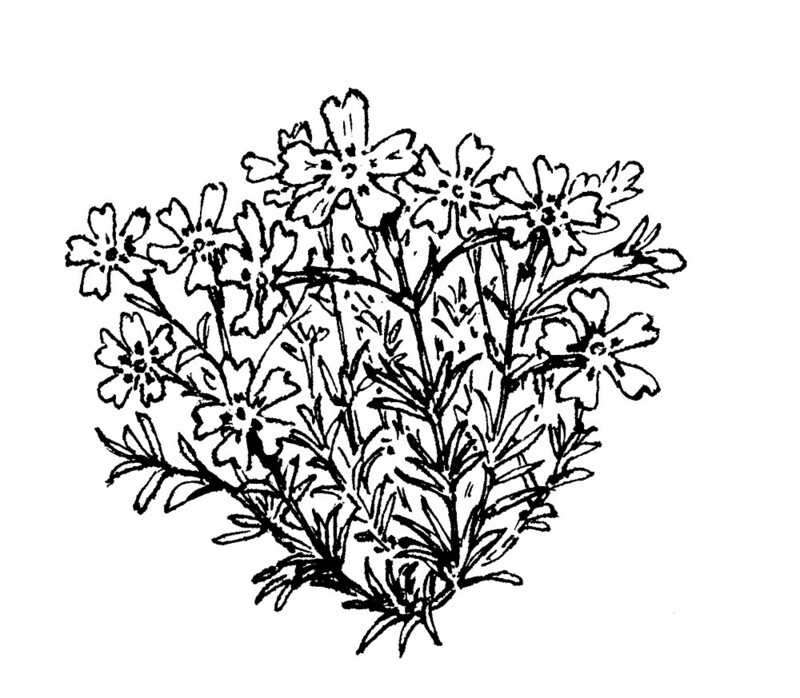 Phlox stolonifera × Phlox subulata → Phlox ×‌procumbens Lehm. 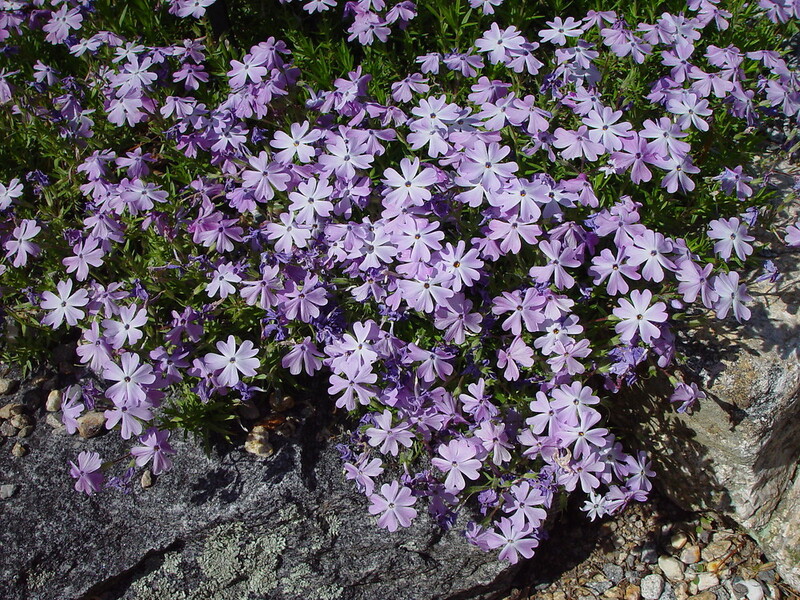 is a very rare phlox hybrid known from ME. 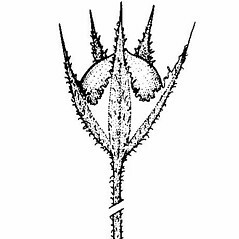 It is identified by its petals with a shallow apical notch, leaf blades with a single midvein (but the blades are not stiff as in P. subulata), and inflorescence with glandular hairs mixed with the eglandular, septate ones.